It’s a regular swarm of activity in the gardens at Juniper Level Botanic Garden today on so many levels. 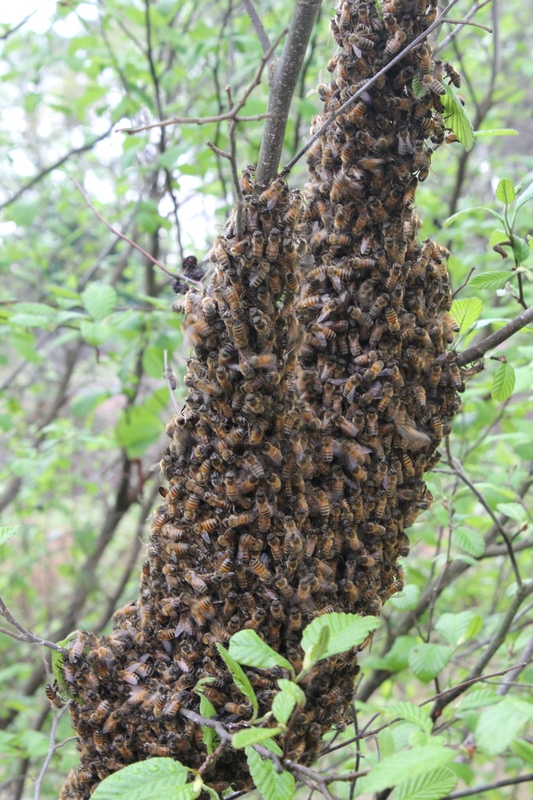 First, this gaggle of honeybees decided to vacate their dwelling is search of better digs. Right now, they’re gathered on an alder, waiting on a community organizer to arrive and direct them further. This entry was posted in Plant images from the garden and nursery and tagged plants that attract bees by Plant Delights Nursery. Bookmark the permalink.